Ross Jones has been named an investigative correspondent for the E.W. Scripps Company in Washington, D.C., effective Oct. 5. He joins the cable network from WXYZ-TV in Detroit where he also served as an investigative reporter. He will focus on investigative efforts at the national level, working to expose government waste as part of Scripps National Investigations. For the latest in media and journalism follow the E.W. 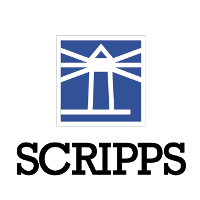 Scripps Company on Twitter and Facebook.